As the tension mounts on The Apprentice and candidates take to their places for hot-seat interviews, the nation is divided. The next Apprentice is yet to be chosen and the final candidates are about to get a grilling. How better to heighten the City’s drama than with a floor-to-ceiling view of London’s iconic skyline? When Lord Alan Sugar’s much-loved BBC reality show chose Landing Forty Two as the backdrop for their semi-final interviews, a moment of potent suspense was produced. 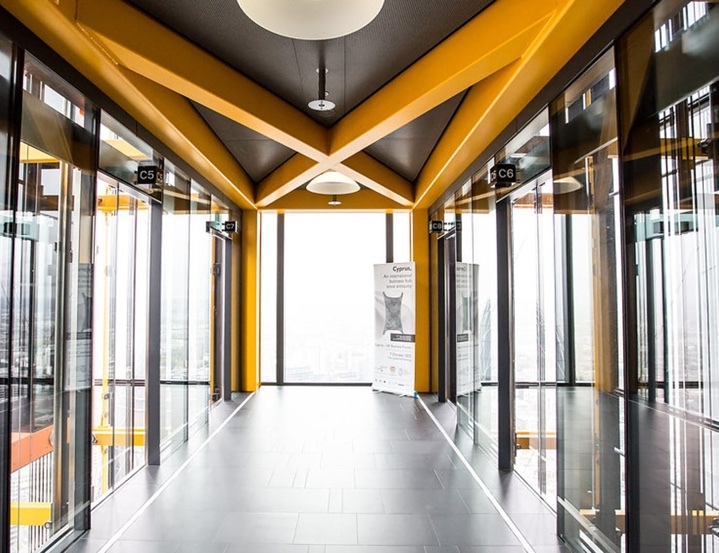 The Apprentice aired across the country with viewers taking in the panoramic power of the venue’s location, forty-two floors high within the distinctive Leadenhall Building. Creating stunning visual scenes and channeling the contemporary luxe of top Senior Executive offices, Landing Forty Two proves to be a jewel for producers and creative-directors looking to capture London’s ever-changing skyline. The stunning views make an ideal backdrop for fashion, lifestyle and advertorial shoots conjuring the exhilaration of The City. Why not take a look around and take-in the venue’s extraordinary drama?